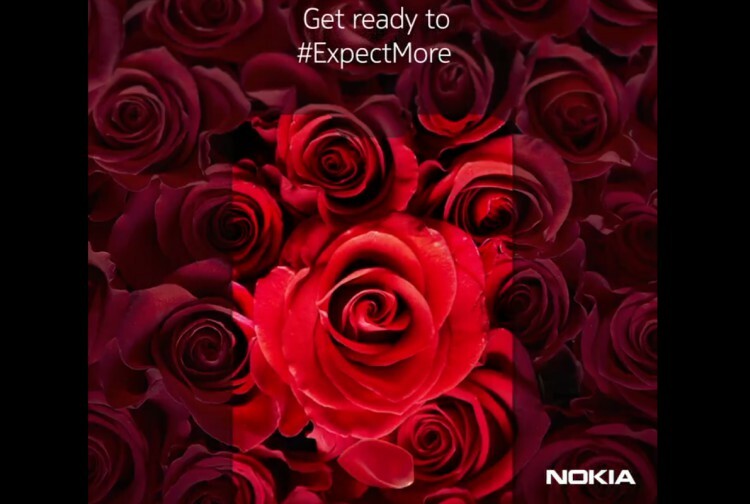 Nokia teased a new smartphone on twitter for India today, the teaser shows the outline of Notch display of the smartphone on Roses background. The tagline mentioned was ‘Get ready to #ExpectMore’. It is clear that the phone will feature a big display with a Notch, and because of the roses background the phone could come in Rose Red color option. There will be an event by HMD in Dubai on December 5, the event could end up revealing 3 new Smartphone. The smartphone is expected to be Nokia 7.1 Plus, which was launched few months back in London. However the company could also end up revealing Nokia 7.1 or Nokia 8.1 But our clear hope is Nokia 7.1 Plus. As per the teaser the display outline is brighter which indicates the display used could be HDR10 which could give sharper viewing experience while streaming videos. There is a of 6.18 FHD+ (2280×1080) 19:9 ratio IPS LCD screen. PureDisplay technology could be used for proving higher contrast and depthfull colors. In the camera department there is a dual camera setup at the back (12MP + 13MP), the 12MP shooter comes with Zeiss-branded lenses with f/1.8 aperture, the 13 MP shooter will be used for depth sensing. For selfies, it sports a 20MP sensor with f/2.0 aperture. The Nokia 7.1 Plus camera app also features a Pro mode and bokeh effect. Under the hood there is a 10nm Snapdragon 710 chipset clocked at 2.2GHz coupled with 4GB or 6GB of RAM along with 64GB or 128GB of internal storage, the storage is expandable up to 400GB through microSD card. The phone will packed with a 3,500mAh battery. Some rumors say the HMD could reveal a new smartphone in India on Nov 28 which could be Nokia 7.1 Plus or Nokia 8.1, Stay tuned with Alloftop for more updates .